Indira Institute of Management Pune Admission 2019 – Indira Group of Institutes has released notification for admission to Post Graduate Diploma in Management (PGDM) for the academic year 2019-20. Interested candidates can read the complete detail of Indira Institute of Management Pune Admission 2019 such as application form, eligibility criteria, selection process etc. on this page. Latest: To register for Indira Institute of Management Pune Admission 2019, candidates have to fill the ICAP online registration form. Link in given below. Schedule for the Indira Institute of Management Pune Admission 2019 is given below. Note: Dates mentioned above are tentative. Shree Chanakya Education Society reserves the right to change or allot a city other than the one requested by the candidates in the event of feasibility and circumstance beyond our control. While we are keen to have the admission process in all the centers mentioned above, we reserve the right to cancel any of the Centers depending upon the contingencies and such information will be conveyed to candidates well in advance through ICAP website and such candidates can enroll in the center closest to their city. Click Here to Registration for ICAP. Candidates can pay online through Credit Cards, Debit Cards, Net Banking. Merit lists for admission will be displayed by respective institutes on their institute website and campus. The dates for the same will be intimated through institute’s website. 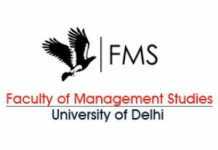 A candidate is declared eligible for PGDM Courses, if he/she has passed the degree examination of a recognized university with a minimum of 50% marks and minimum 45% marks for reserved candidate category from any state in India. Such candidate’s application must be accompanied with relevant caste certificates and non-creamy layer certificates at the time of confirming the admission. Absence of such certificates at the time of submitting the Admission application forms for admission to the course disqualifies them from reserved category seats, and such candidates will be considered for open/general category. Final year degree students, who have not received their result will be allowed to appear for the admission process, provided at the time of taking admission they have a certificate from their college/university about being a final year student awaiting result. Before applying for admission process for PGDM Program, candidates must have a written test score of any of the following tests: AICTE- CMAT/CAT/XAT/MAT/ATMA/ G-MAT. Candidates will be shortlisted for admission to its mentioned courses based on : Indira Common Admission Process (ICAP)-2019. Note: The percentile scores of different entrance tests will be normalized by using a multiplier. Reporting Time for ICAP Process is 9:30 am sharp. Venue of ICAP process at respective locations / Cities will be communicated to the students through the ICAP website in the month of March 2018. Indira Institute of Management Pune will publish the merit list for admission to IIPM PGDM. Candidates can check the merit list from the official website OR through the direct link which will be provided below. Proposed fees for IIMP-PGDM course for academic year 2019-20 is Rs. 3,50,000/-(Three lakh fifty thousand only) per annum. These fees are inclusive of ICE (International Campus Enrichment) and laptop / tablet. The final fees will be subject to guidelines from relevant regulatory authorities.